What is the role of P2 in our changing country? We look forward to exploring this next week at the Skills Symposium, to be followed by ongoing conversations with members from March through August and a wrap up at the IAP2 North American Conference in Denver. Become involved – participate – we want to hear from you! 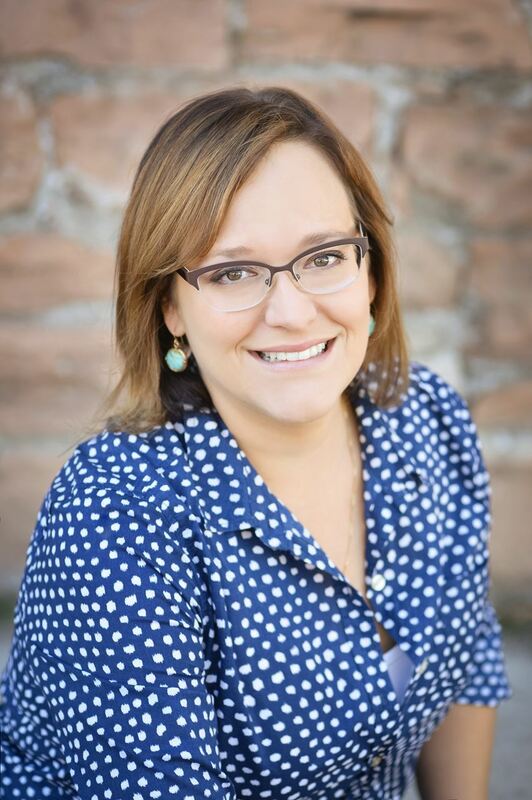 FEATURES: President Leah Jaramillo talks of the role of P2 in our world; apply for the IAP2 USA Mentorship Program; are you interested in becoming a licensed IAP2 trainer; and do you have a session proposal for the 2017 IAP2 North American Conference? 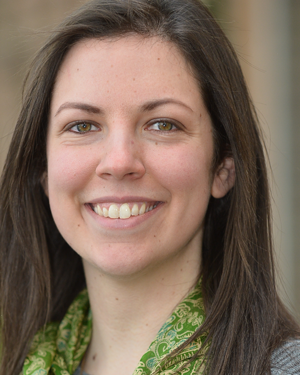 Welcome Lauren Wirtis, IAP2 USA’s first intern. 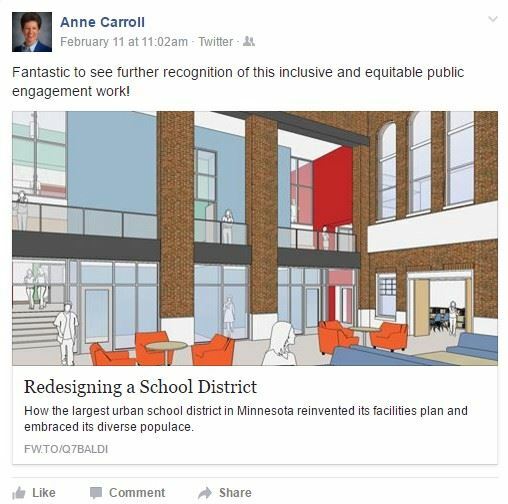 In Chapter News, we give a shout out to the Greater Los Angeles Area (emerging) Chapter's upcoming Public Engagement Strategy Workshop and the recent article in Architect Magazine about Midwest Chapter's 2016 Respect for Diversity, Inclusion & Culture Core Values Award winner, Saint Paul Public Schools. EVENTS: Our Webinar On-Deck features the 2016 Core Values Award winners for Respect for Diversity, Inclusion and Culture (March 14) and we rewind to our February Webinar on P2 Toolkits. INTERESTING LINKS: Read about how lawmakers in Oregon are seeing a major surge in public involvement following the election and an interesting perspective on how President Trump's campaign gained momentum, as well as how public engagement in health care is reaching the UK, as well as how a lack of P2 in Nova Scotia created barriers to involvement – in drafting a new Accessibility Act. I think it is safe to say that the national political context is influencing public participation and decision-making processes across the country. Involvement is happening in a number of ways that are hard to miss - the Women’s March on Washington, the recent Town Hall meetings with elected officials and new groups like @USIndivisible, @TheKindnessMovement, and @AltNationalParkService. Engagement abounds. IAP2 USA and IAP2 Canada are seeking session proposals for the sixth annual IAP2 North American Conference, to be held September 6-8, 2017 in Denver, Colorado, USA. The Conference is the major global P2 event of the year and we welcome papers from around the world and expect a global audience in attendance. 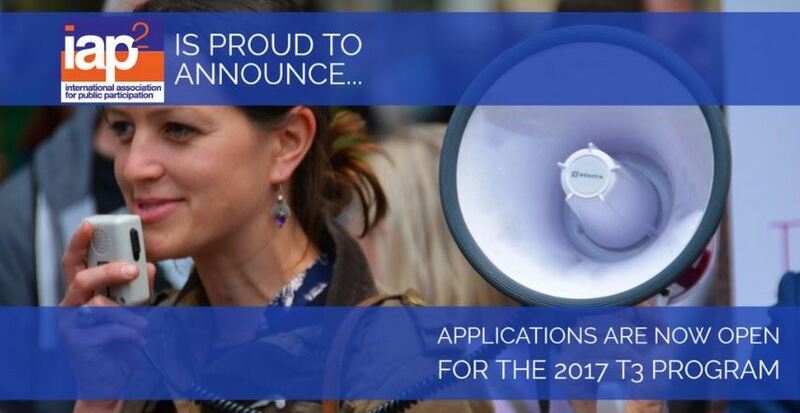 There is no time to lose: The deadline to apply is March 7, 2017. Don’t miss out on this year’s IAP2 North American Conference – register today. You're in luck! 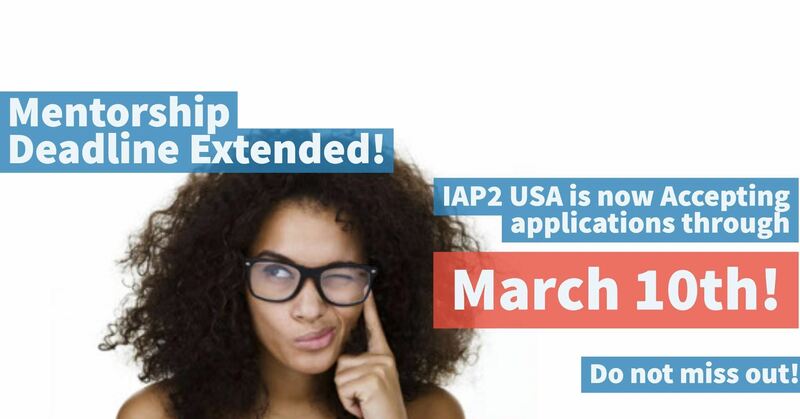 We have decided to extend the application deadline for IAP2 USA's Mentorship Program! This program connects seasoned P2 professionals with individuals interested in learning more about the P2 process. We invite people of all skill levels, areas of interest, and professional backgrounds to apply and participate. The path of this program is decided by the mentor/mentee pair. You make your own goals, work at your own pace, and learn valuable skills in the process. This program is truly unique to the individuals that participate in it. 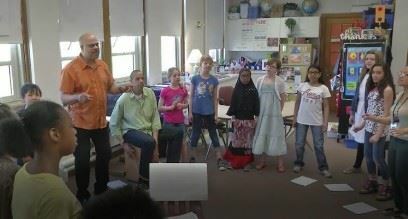 One mentee said "This was a great opportunity to get perspective on my development as a practitioner. My Mentor was knowledgeable about so many things and was able to help illuminate parts of my experiences and work that I hadn't considered. The things I learned through this program have had a significant impact on my plans for the future." One mentor said "Our profession is changing rapidly - with emerging communication technologies, challenging political contexts, and declining social capacity for addressing controversial issues in a civil manner. As a seasoned professional with over 25 years’ experience, I greatly enjoyed getting to know my mentee and her perspectives on our profession as a relative newcomer in the field. I am certain I benefited every bit as much from the Mentorship Program as she did!" If you think this program is for you, or you would like to learn more, visit our website and apply today! We hope you apply and become a part of this great program! Lauren is a recent addition to the IAP2 USA community, becoming a member in January of 2017! We are also excited to announce that Lauren is our 2017 Intern. Welcome to the IAP2 USA community! Lauren became a planner because she is passionate about P2. She is interested in what people think about the places they live, what changes they would like to see, and how to get more people involved in their communities. Apply to Become an IAP2 Licensed Trainer! Three webinars have been organized for people who are interested in becoming licensed to deliver IAP2’s Foundations in Effective Public Participation course. In your P2 career, are there times when being the professional is almost a hindrance to meaningful engagement? You could walk into a situation where the community is skeptical that a process will be fair and honest, or find that staff are more involved than you’re able to accommodate, or any of a number of other situations. One solution is to develop P2 Toolkits. These are specialized “packages” of resources that can be provided to “non-professionals” to help them with their engagement efforts. Based on their presentation at the IAP2 North American Conference last September, Cristelle Blackford of CivicMakers, Abby Monroe of the City of Chicago and Zane Hamm, educator and research associate with the Centre for Public Involvement in Edmonton discussed how toolkits have worked in three individual projects. Two award-winning projects that covered decidedly different aspects of P2 highlight our March 14 webinar. We learn how the Saint Paul Public School District in Minnesota upgraded its facilities to 21st Century standards, consulting with teachers, parents and the students themselves on their needs and aspirations. Watch the video here. From Canada, EcoPlan International worked with the Village of Alert Bay, BC and the ‘Namgis First Nation to develop a Community Development Plan for Cormorant Island, which the two communities had shared for decades without really interacting. Watch their video here. Greater Los Angeles Area (emerging) to host Public Engagement Strategy Workshop with Public Agenda & the Institute for Local Government March 8 in Sacramento – Former IAP2 USA board member and Public Agenda Director of Public Engagement, Matt Leighninger, will join Institute for Local Government trainers Nicole Cabral and Sarah Rubin in this workshop to provide you with the tools and resources you need to authentically engage stakeholders in thoughtful, democratic processes. Midwest Chapter – 2016 Core Values Awards Winner Saint Paul Public Schools highlighted in the February 2017 issue of Architect, the journal of the American Institute of Architects. Congratulations Saint Paul Public Schools! 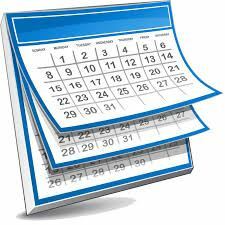 Check the IAP2 USA calendar for information on how to register for events and get involved! It appears those who predicted a surge in public engagement following the election weren't far off the mark. Witness: this item from the Douglas County, Oregon, News-Review. An op-ed piece in the New York Times offers some perspective on why Donald Trump’s campaign gathered momentum. Across The Pond, the Institute for Cancer Research in the UK has launched a three-year Public Engagement strategy to embed P2 across its system. And an opinion piece from CBC Nova Scotia looks at the way public consultations are expected to remove barriers to involvement – in drafting a new Accessibility Act.